Commercial property is set for another bumper year in 2019. Many every-day investors are put off commercial property because they believe it’s too complex. But, with careful research and planning, it needn’t be. Below are the five most common myths investors cite as reasons not to buy non-residential property, as well as advice on how they can be overcome. Some non-residential properties, like industrial assets, can have pretty hefty price tags, but that’s not necessarily the case for all non-residential investments. But more importantly, as with any investment, it’s not about how much you spend, but the quality of the asset you buy that determines success. 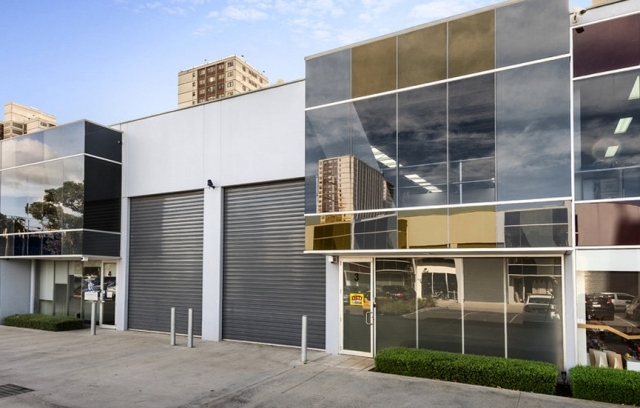 Small factories and offices in inner-city areas are examples of affordable, non-residential assets that are in limited supply and high demand. In particular, those close to access roads and transportation services are the most sought-after, and those that typically perform well. Many would-be investors are deterred by the apparent high cost and higher risk of non-residential property, and think it might be safer to invest as part of a syndicate. But, as we’ve already discussed, there’s a vast range of affordable non-residential property to suit most investors. While buying property as part of a syndicate can help you buy larger, more expensive assets, the reduced financial risk can be outweighed by the added complexity of investing with other persons. However, that’s not to say they aren’t viable. With the right planning and vision, clear terms and a suitable property, syndicates can prove very successful. There are two components to non-residential investment. The first is the property itself; the second, the business component, or lease. The latter is what sets non-residential apart from residential property and it’s also what accounts for most of the risk associated with commercial property. Which is why it’s important to review existing lease conditions carefully and seek professional advice to ensure there are no surprises. Remember, there’s an element of risk with almost all investments, but, by undertaking due diligence, you can minimise and manage your risk, while reaping the higher rewards of non-residential property. There’s complexity involved with all types of property investment, whether residential or non-residential. The key to success is research and knowledge, and a willingness to seek advice when you’re not sure. Your knowledge and clear goals, together with the advice of a professional property manager or commercial buyer’s agent, will help you minimise your risk and select an asset matched to your investment objectives. When investing hundreds of thousands of dollars, it makes sense to spend a few hundred dollars on professional advice. Commercial property development is becoming increasingly popular, with a growing number of first-time developers entering the marketplace. Property and vacant land in inner-city locations with flexible zoning laws are particularly popular – and developers are willing to pay a premium for them. This presents a two-fold opportunity for commercial investors: buying the site with the intention of securing planning approval for future development and on-selling the property, or retaining the property with the intention of developing it themselves. Before buying any non-residential property or development site, consider if the local infrastructure – such as access roads, public transport, shopping and associated facilities – is sufficient to support the proposed development, and whether there’s demand for the property type in the area. Among other things, the level of demand and scarcity of the property type will impact future asset performance.